I helped the team by helping them in all stages of our UX Process. We brainstormed and helped each other during each phase of the project. 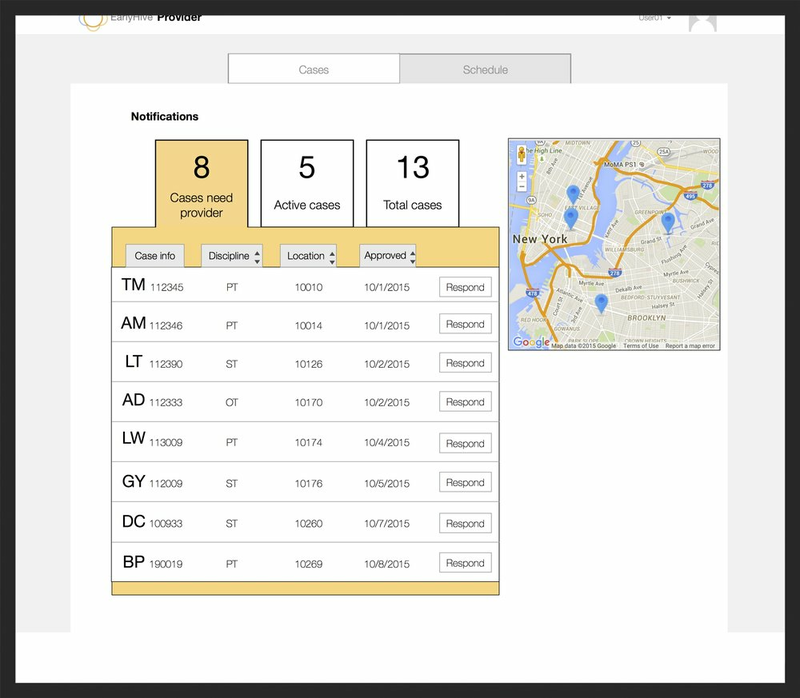 I helped the team design the prototype and interactions along with usability testing. Google, Google Forms, Google Sheets, Trello, Omnigraffle, Sketch, Invision. Me, Atin Mitra and Allison Davies. 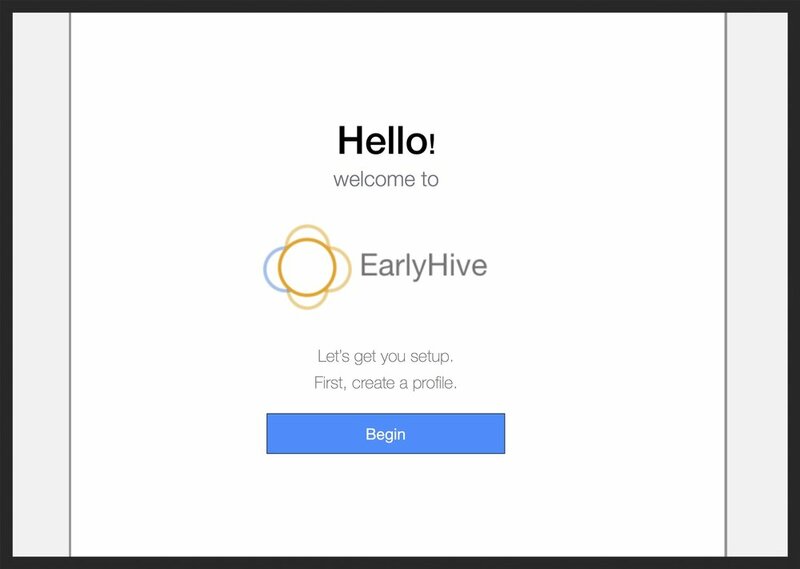 We used User Research and Usability Analysis to uncover User Behavior with EarlyHive’s existing prototype platform and redesigned it to improve user experience. We found two main interactions between the coordinators and the providers and we built our design solution catering to those needs. The above process was the main backbone of the whole project and since this early stage startup already had a working prototype, we had to improvise our research accordingly. So our discovery phase started with learning what the company was all about, how therapists and the children currently coordinate, how they are solving their problems, what their workarounds are and what we can focus on during the 3 weeks of the project. Then we narrowed down on the specific areas and interactions we can improve and shaped the flow of our project accordingly. We started off by analyzing the existing prototype to determine the usability based on Nielson-Norman Group Usability Heuristics. The platform is confusing to the average user and lacks helpful text. Using Google Maps is great as it promotes user recognition over recall which improves user experience. We used user flows to better understand what steps one needs to take to complete specific tasks like editing their schedule availability, creating/setting up a new account, etc. I was asking questions while Allison was taking interview notes. We also recorded the audio for this. I was taking notes in this one. The phone you see was recording the audio for this interview. To get a better understanding of what the user experience is like and what issues they are facing, we interviewed 3 providers and 3 coordinators. We discovered that there were two main tasks the users were trying to achieve. We also made affinity maps to analyze the interview data based on how likely someone is to collaborate in real time vs. making decisions beforehand. We discovered that that most people’s decisions about what they were going to play was predetermined. They planned out what they were going to play ahead of time instead of randomly adding music tracks they like to a playlist. Since we already had specific tasks the users were trying to achieve, we got right into user testing. We also wanted to learn whether we did a good job of analyzing the usability heuristics and user flows. Test with providers - Leanna and Leslie. Atin leading the user test while me and Allison took notes. After performing user interviews and usability tests we learned that we would need to consider 4 types of personas based on their experience level. We performed a design studio with the client to learn more about their expectations.